Two separate forces have driven growth in the usage of API storage tank standards in Brazil. The first force is an increased regulatory presence in the refining, chemical, and petrochemical industries, which creates a need to thoroughly document any actions taken to ensure worker health, environmental protection, and the integrity and availability of assets. The second force is the discovery of vast crude oil reserves in the Pre-Salt layer of the Brazilian continental shelf, which has resulted in a rapid increase in tank farms and storage units. 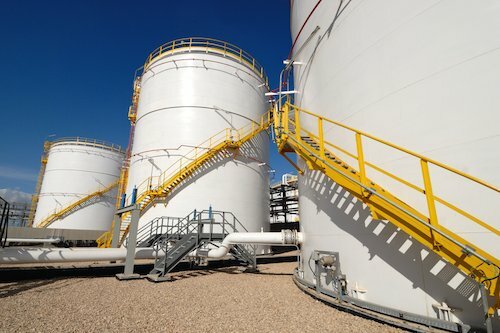 With a number of complex failure modes, storage tanks require skilled management, from construction to operation, in order to avoid downtime, losses, and incidents. API documents have been widely used in Brazil and are helpful tools in the training and development of storage tank reliability teams. These documents are used to direct inspection, maintenance, and repair activities on static equipment. API 2350 (Overfill Protection for Storage Tanks in Petroleum Facilities), API 2550 (Method for Measurement and Calibration of Upright Cylindrical Tanks), API 2000 (Venting Atmospheric and Low Pressure Storage Tanks), and API 520 (Sizing, Selection, and Installation of Pressure-Relieving Devices in Refineries), for changes in the operation and service of tanks. These standards, when used in conjunction with one another, and when utilized by a well-trained team of experts, can result in an effective storage tank reliability strategy. In the past, storage tanks were thought to be the likely culprits in soil and groundwater contamination. This viewpoint has largely been changed due to the development of proactive storage tank reliability programs and the training of highly skilled professionals. However, the view needs to be further disseminated through technical conferences and summits, highlighting these changes and promoting the creation of new documents such as API 625 and API 2350 (mentioned above). Only by raising awareness of API documents will their widespread usage become apparent; by leveraging media outlets such as technical societies, trade publications such as Inspectioneering Journal, conferences, and of course, the internet, this promotion is made possible. On another note, API 570 (Inspection, Repair, Alteration, and Rerating of In-Service Piping Systems) is a quite effective standard that we commonly refer to in Brazil. Beyond the storage tanks themselves, there are multitudes of piping circuits connecting the equipment. These circuits are oftentimes largely restricted in the amount and types of maintenance that can be performed due to the demand for maximized plant uptime. API 570 (through Appendix D) provides definitive inspection and maintenance procedures that are less palliative than short-term fixes such as clamping and hot tapping. The Pre-Salt layer of the Brazilian Continental Shelf will continue to create crude oil production opportunities, and the demand for crude oil and refined product storage will remain as long as these opportunities are available. Inspectors and engineers in Brazil and abroad should continue to look to standards and best practices such as those published by the American Petroleum Institute to achieve excellence in their pressure equipment integrity and inspection programs.